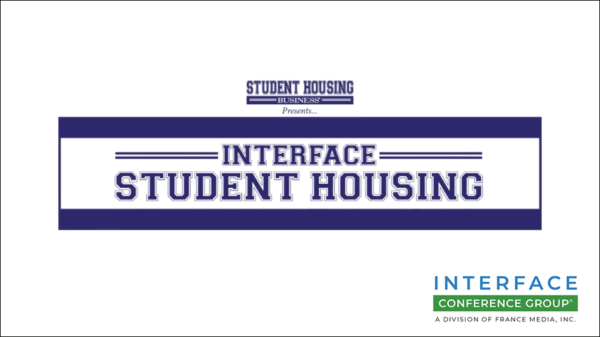 Student Housing Business and the InterFace Conference Group are hosting SHB LeaseCon: A Social Media, Digital & Traditional Marketing Boot Camp on September 25th in Dallas at The Westin Galleria. This one-day event will bring together everyone involved in the leasing process in student housing. For more info or to register, click here. 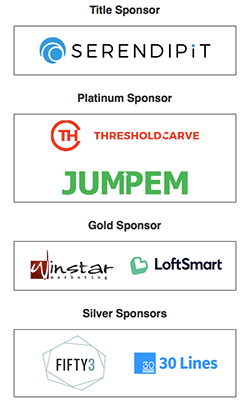 4:15-5:15 pm – LeaseCon ValuePLUS Roundtables: Take advantage of the opportunity for casual but concentrated conversation on a range of topics. Each table will be hosted by a facilitator/expert in the subject area. 8:10-9:00 am – Branding: Why building your community brand is the MOST important part of your marketing strategy. We’ll break down the meaning behind your brand and go through the steps to create and strengthen your brand throughout your entire lease up and operational lifetime. A-1: How to Create Instagram Stories that Drive Leases: Learn how to build a weekly storyboard for your properties that generates leases. We will teach you how to create content that students want to follow and how to get them to swipe up to sign! A-2: Snapchat: How to create an interactive campaign on Snapchat that drives leases. B-1: Why Live VIDEO Must Be an Integral Part of Your Leasing Strategy: How to develop the right video content strategy to drive leases, renewals and brand awareness. B-2: INTERACTIVE WORKSHOP – Personas: Are you creating a unique strategy that targets each of your personas in a unique way? Who are your personas? We’ll dive into who our personas are, how to build personas and how to create a unique strategy that is personalized for every persona. C-1: New Trends, Tools and Tricks in the Digital World: Spectacles, Mevo, GoPro, etc. What tools and platforms make the most sense for your onsite teams, and what tools are best for your digital agency? C-2: Influencers: The most valuable form of referral traffic. Are you working with local student influencers? Have you built a team of leasing ambassadors? We’ll discuss how to identify influencers, how to validate them, and how to compensate them. If influencers don’t exist in your market, how do you build a leasing ambassador team? What approach is better? 12:40-1:30 pm – How to Build a Social Media Sales Machine: The team is posting good organic content and the Facebook ads are working. But what happens when it comes to measuring results? Social has reporting impressions, while ads are all about the ROI. So how do you get both organic and paid working together? It’s all about creating a social media sales machine. D-1: SEO vs. PAID: What makes the most sense for your community. What is SEO? What is PAID? How do you track each click to a lease? D-2: Reviews and Reputation Management: Who should be managing your reputation? What are the best practices? How do you create an effective and efficient strategy for your teams? We’ll review the best tools out there to monitor and show you how to analyze your reputation online. E-1: How to be a LinkedIn Rockstar: During this workshop, we will help you build your profile, teach you how to build connections that drive business and help you build a weekly/ monthly checklist on how to be your best on LinkedIn. E-2: Leasing and Marketing: How to the two work together to ensure you are maximizing efforts, creating dollars and generating the most leases. 3:35-4:20 pm – INTERACTIVE WORKSHOP – Tour Tactics: Have you mastered your tour presentation? Do you need some new phone techniques to drive traffic in the door? Our experts will show you techniques to ensure your closing ratio increases! We’ll be role-playing, videoing our tours and perfecting our presentations. Previous Previous post: What’s the Impact of E-Commerce on the Single-Tenant Retail & Industrial Markets?